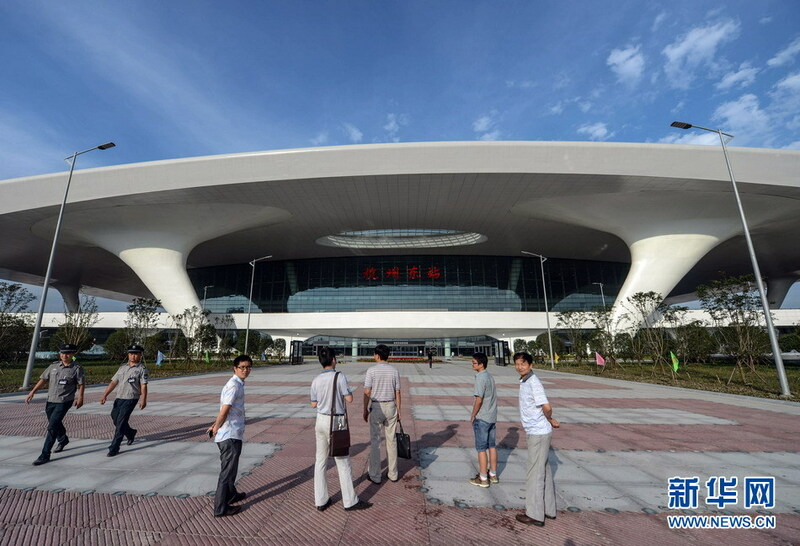 is also known as Guangzhou New Railway Station. 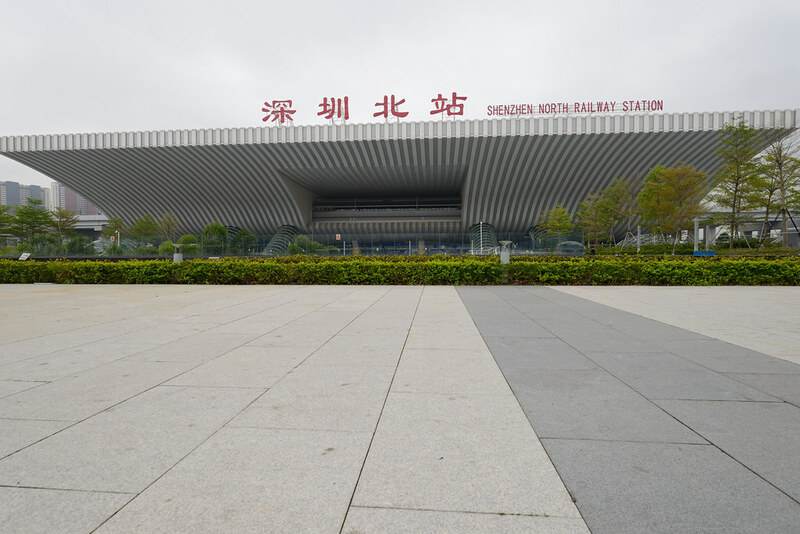 It is located in Panyu District, Guangzhou City, Guangdong Province. 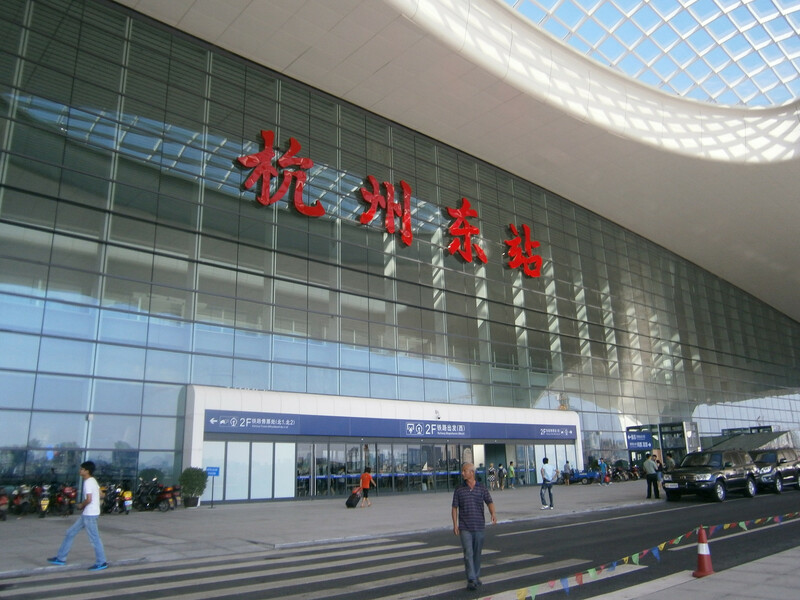 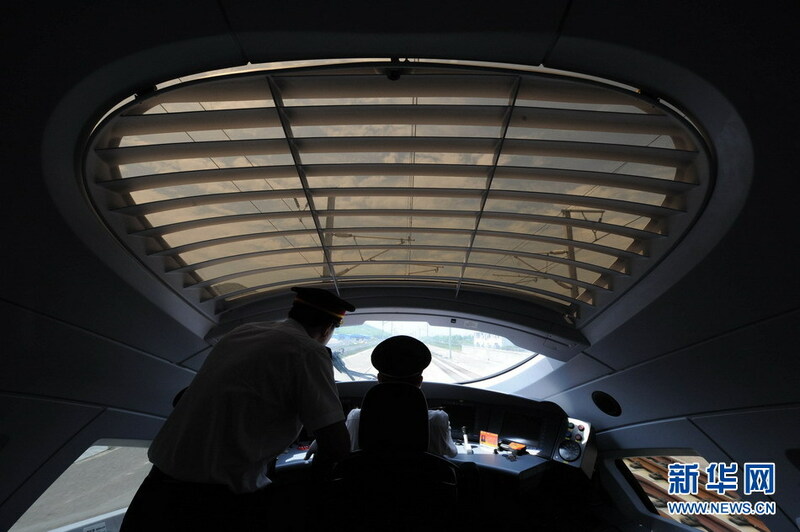 It is the largest high-speed railway station in southern China. 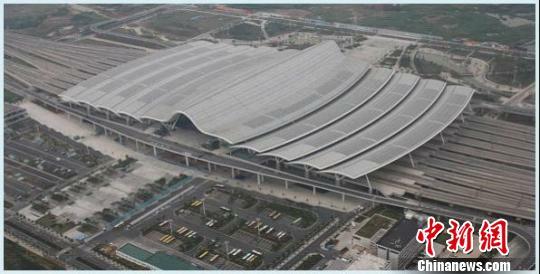 It is the Guangzhou railway passenger hub with Guangzhou station, Guangzhou North Station and Guangzhou East Station. 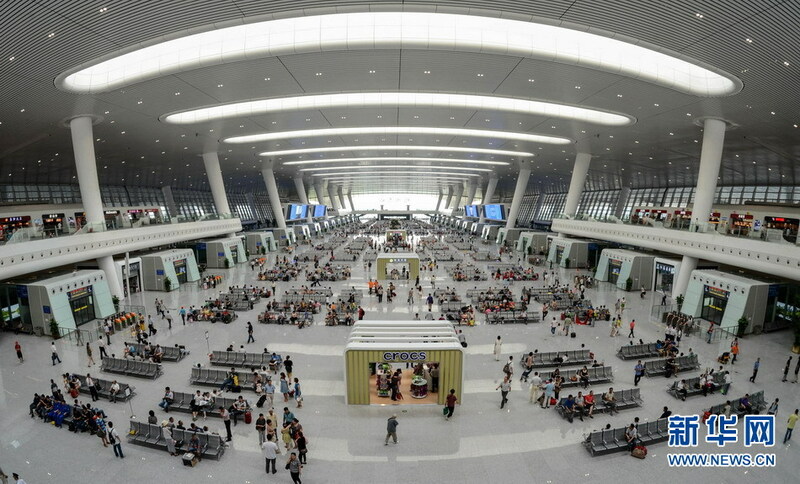 It has expressway, subway and other public transport connection, a total investment of RMB 13 billion yuan, with a total construction area of 615,000 square meters. 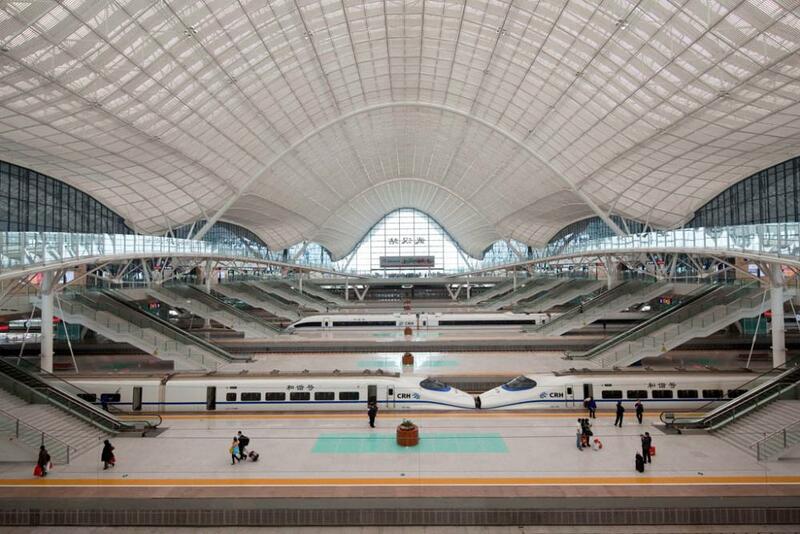 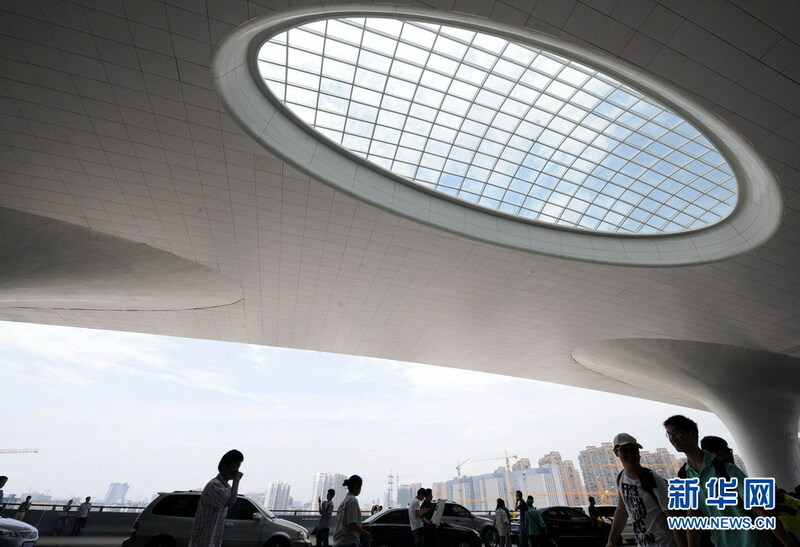 The largest railway station in Beijing, construction area : 499,200 square meters. 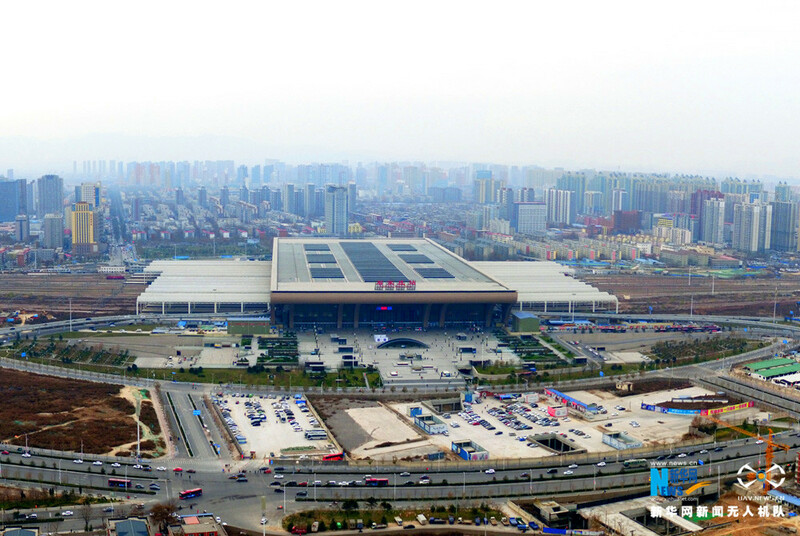 located in Yuhuatai District , Nanjing, with a total construction area of 458,000 square meters, with a total investment of more than RMB 30 billion yuan. 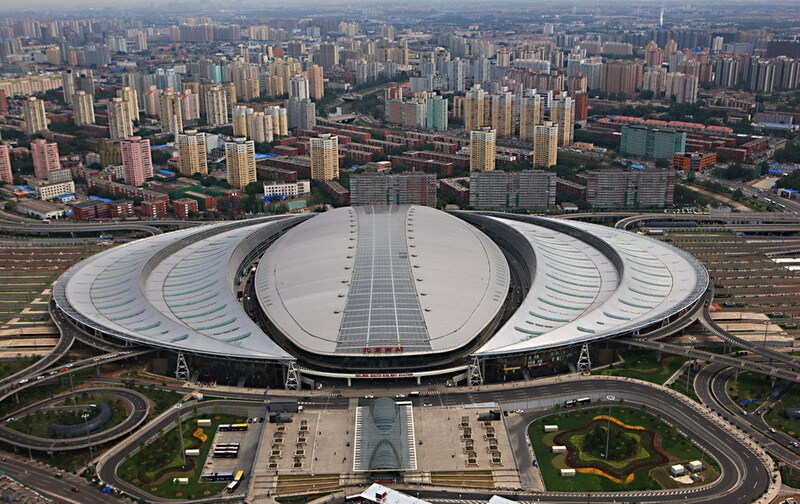 located in Zhengdong New District, Zhengzhou City, with a total investment of RMB 9.47 billion yuan, construction area of 418,800 square meters. 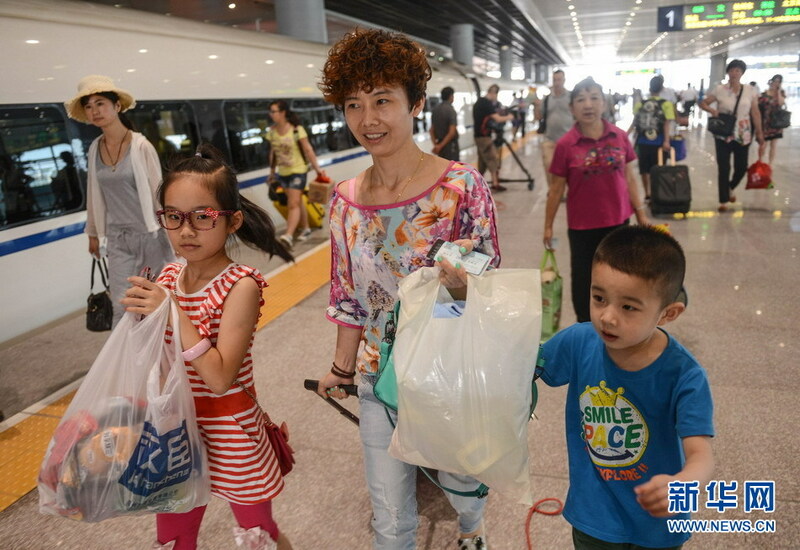 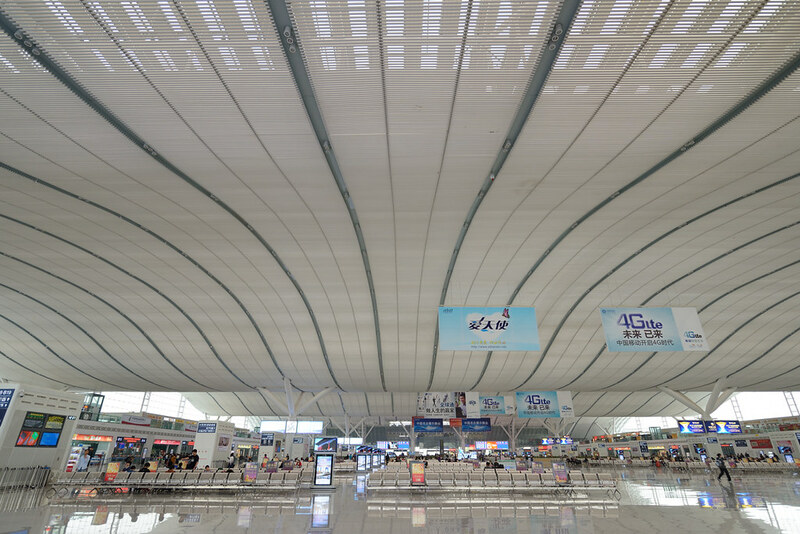 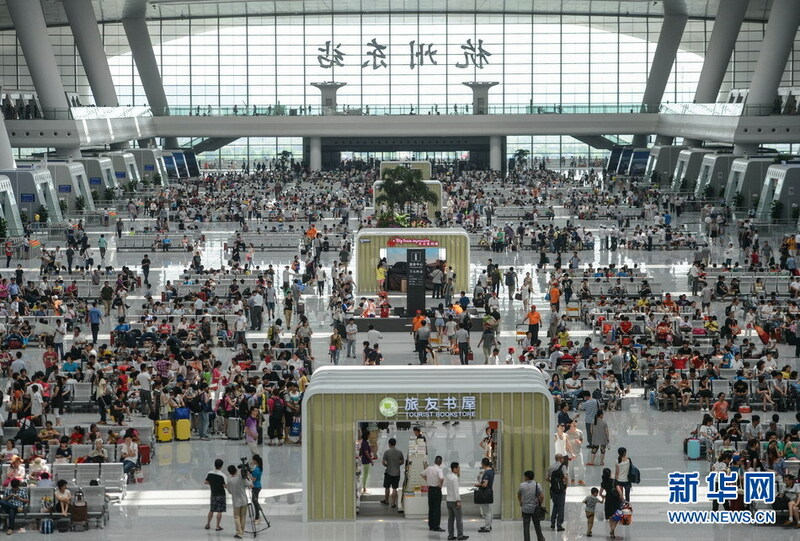 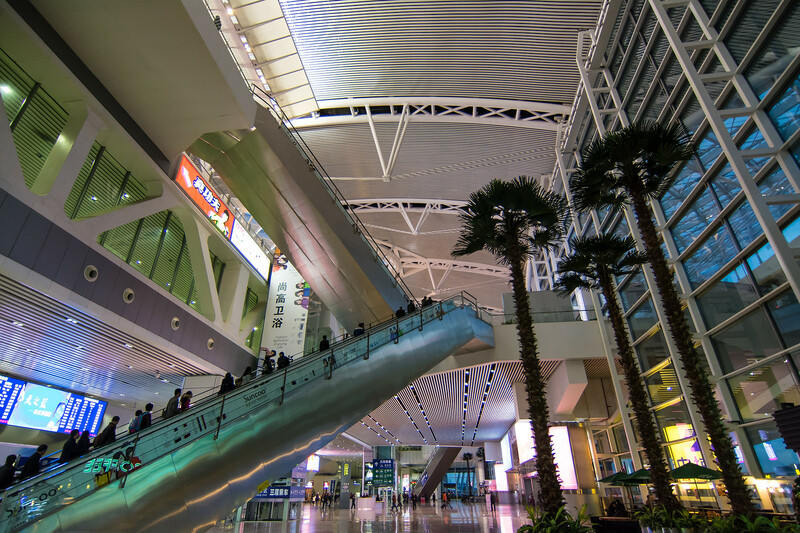 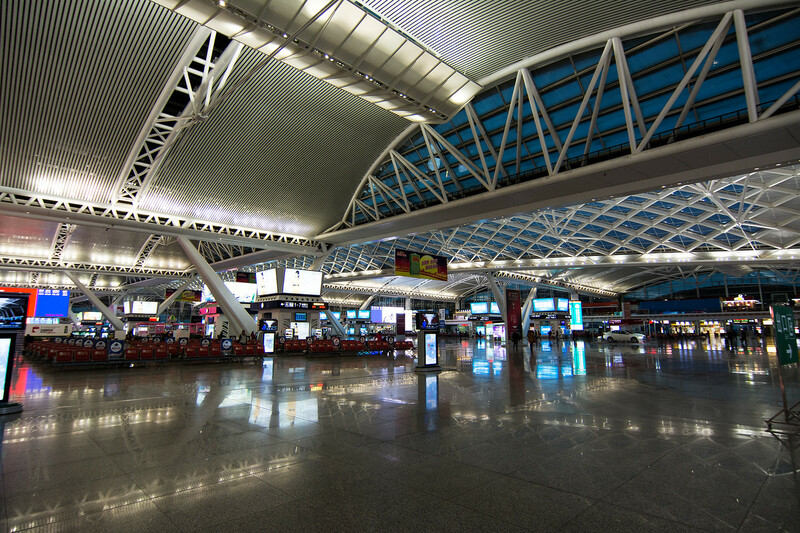 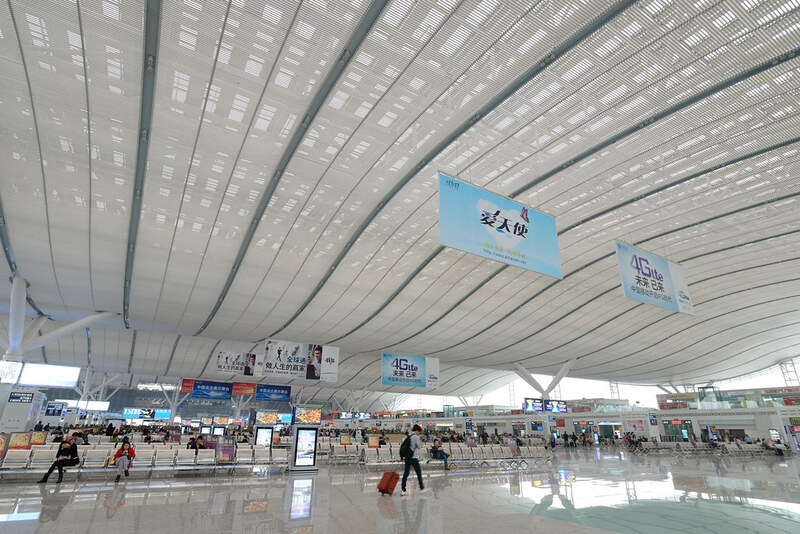 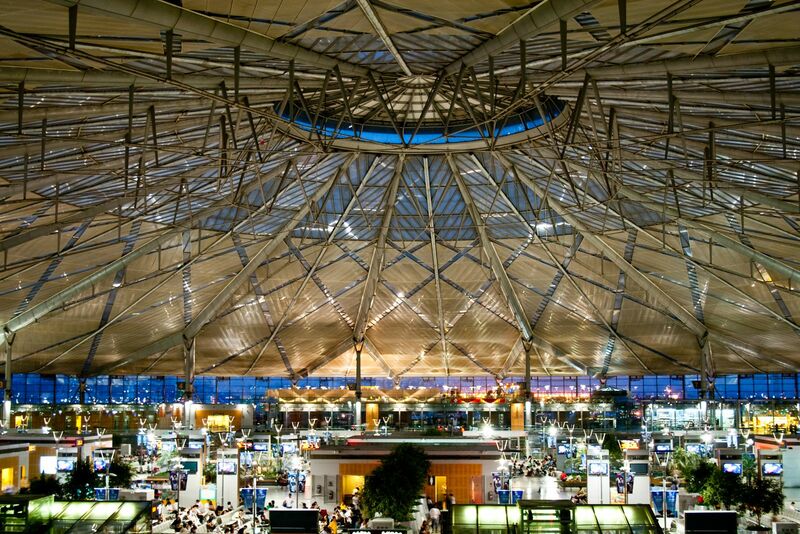 located in Longhua New District, Shenzhen, was officially put into use in June 2011, the construction area of 400,000 square meters, the annual sent more than 52 million passengers. 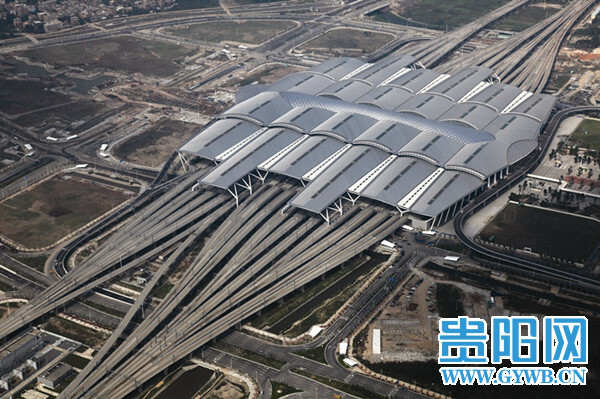 located in Shijiazhuang City Bridge West, is China's important transportation hub, under the Beijing Railway Bureau, a total construction area of 390,000 square meters, a total of 13 platforms, 23 platform. 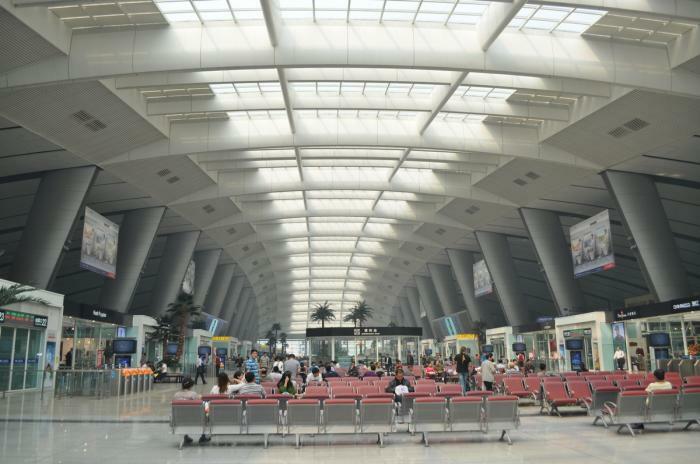 located in Hongshan District, Wuhan City with a total investment of RMB 14 billion and a total construction area of 370,800 square meters. 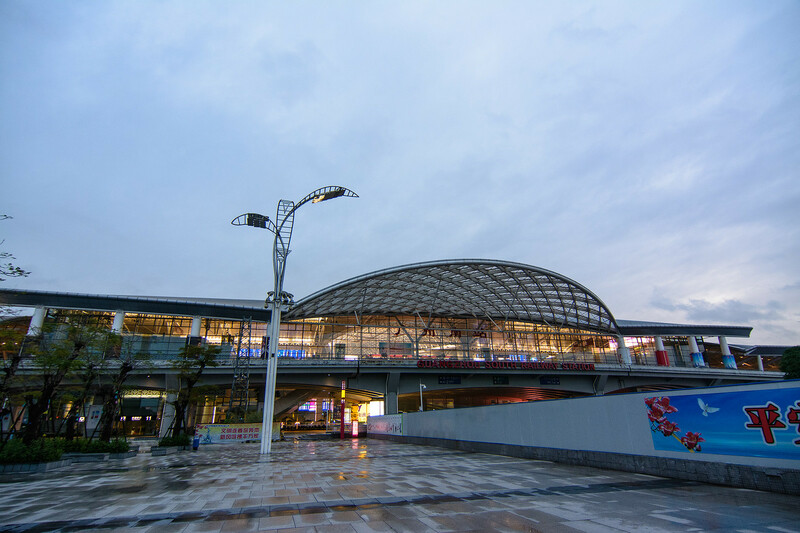 located in Hangzhou Metro, is the east gate of Hangzhou, a highly modern special station, a total investment of 25 billion yuan, with a total construction area of 340,000 square meters. 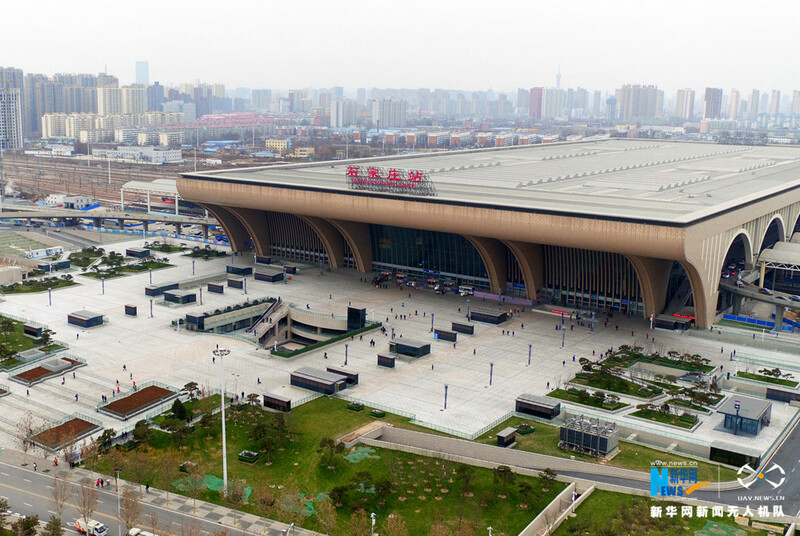 located in Xi'an, Shaanxi Province, Xi'an is the "three main two auxiliary" railway passenger hub, is also one of China's large high-speed rail station, with a total construction area of 336,600 square meters.